Menchetti P P M is an Orthopaedic Surgeon and Professor at University of Palermo University, Italy. He is the Aggregate Professor at Palermo University, Italy since 2015 and a Fellow of Royal College of Physicians and Surgeons of United States of America; Fellow American Board Minimally Invasive Spine Medicine and Surgery; Corresponding Fellow EFFORT (European Federation National Associations Orthopaedics and Traumatology) and also a Member of American Academy Minimally Invasive Spine Medicine and Surgery (AAMISMS). Walter Bini completed his Diploma from Westminster School, Simsbury Connecticut, USA and his Post-graduate Degree from Universidad de Zaragoza, Facultad de Medicina, Zaragoza, Spain. In 2014, he became the Middle East Chairman of ISLASS. He was the Head of Neurosurgery at Sheikh Khalifa General Hospital, UAQ–UAE from 2014–2016. Currently, he is the Lead Neurosurgeon responsible for spinal surgery in the Waldkrankenhaus for special surgeries by Leipzig in Germany and also Visiting Consultant Neurosurgeon of the Orthopaedic Department of Healthpoint Hospital in Abu Dhabi, UAE. Dr. Sergio Mendoza Lattes is an orthopedic surgeon in Durham, North Carolina and is affiliated with Duke University Hospital. He received his medical degree from Pontificia Universidad Catolica de Chile and has been in practice for more than 20 years. Dr. Mendoza Lattes accepts several types of health insurance, listed below. He is one of 96 doctors at Duke University Hospital who specialize in Orthopedic Surgery. He also speaks multiple languages, including Spanish and German. Orthopedics, bones and joints, treating sports injuries, degenerative diseases, tumors, infections, and birth defects. Bassi is an Orthopedic Consultant at the Orthopedics Department at Doctor Suliman Fakeeh Hospital (DSFH). He is also the Chairman of the Orthopedics Department at DSFH and a committed physician in the area of Spine and Scoliosis, with an extensive clinical knowledge to perform numerous surgical procedures and offer a wide spectrum of advanced care & conservative treatment to patients. Dr. Bassi obtained a Medical Degree in 1996, while attending the Faculty of Medicine at King Khalid University in Abha, Saudi Arabia. Furthermore, Dr. Bassi completed a Fellowship at the Royal College of Surgeons of Canada at McMaster University in Hamilton, Canada in 2007, followed by another Fellowship program in AOSpine and Scoliosis at McGill University in Montreal, Canada in 2009. His scientific acheivements are the following. Fellow, the Royal College of Surgeons of Canada, McMaster University, Hamilton, Canada, 2007| Fellows, AO Spine and Scoliosis, McGill University, Montreal, Canada, 2009| Chairman, Orthopedics Department, DSFH, Jeddah, Saudi Arabia, since 2012| Program Director, Spine and Scoliosis, AOSpine Foundation, 2013| Course Instructor, Aliphatic, Europe, 2014. Massimiliano VISOCCHI is Associate Professor in Neurosurgery at the Catholic University of Rome Italy and Visiting Professor at the Shanghai University (China) since 2012. Director of the Special Course and the Second degree level Master in Surgery of CranioVertebral Junction at the Catholic University of Rome Italy. Founder of the Research Center in Surgery of CranioVertebral Junction Catholic University of Rome Italy. 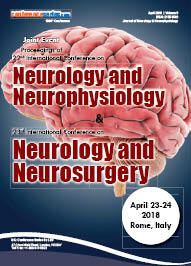 President of the International Societies of Reconstructive Neurosurgery (ISRN), former President of 2National Scientific Societies (SINSEC: Società Italiana di Neurosonologia ed Emodinamica Cerebrale- Gruppo di Studio di Emodinamica Cerebrale della Società Italiana di Neurochirurgia). Member of 13 International and 9 National Scientific Societies. Member of the Board of 2 National and 2 International Societies. Chairman, Board Organizing Committee Member and Invited Speaker in more than 120 International and National Courses and Congresses. Author of more than 300 papers, Author of 4 monographic books and Editor of 3 Monographic Issues of Indexed Peer Reviewed Journals. Member of Continuing Educational Committee (ECM) of the Italian Health Ministery. Member of the Editorial Board of 7 International Peer reviewed Indexed Journals and 2 national; Referee of 30 International Indexed Peer Reviewed Journals and 4 nationals. Winner of INS Award 1996 (Orlando Fl USA) on Neuromodulation of Cerebral Blood Flow and of the Shanghai University Award in 2012 on Cranio-Vertebral Junction Surgery. Prof. Walter Bini has completed his diploma from Westminster School, Simsbury Conn. U.S.A. and got postgraduate degree from Universidad de Zaragoza , Facultad de Medicina, Zaragoza-Spain. In 2014 he was the Middle East Chairman of ISLASS. He was Head of Neurosurgery, Sheikh Khalifa General Hospital , UAQ-UAE from 2014-2016. Currently he is Consultant Neurosurgeon, Orthopedic Department, spine section of Lanzo Hospital COF, Lanzo d’Intelvi in Italy and also Visiting Consultant Neurosurgeon, Orthopedic Department of Healthpoint Hospital in Abu Dhabi - UAE. 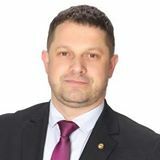 He is an Active Member of 31 National and International Societies- Past European Secretary ISMISS, Charter Member SAS, German Delegate AAMISMS, Vice President ISLASS, Member AANS, Member German Neurosurgical Society, Member Skull Base Study Group. He is working for the Radiation Safety Committee AKS Krankenhaus, Seligenstadt-Germany, MRI Committee, Dubrovnik General Hospital, Croatia. Dr. Thamer Ahmed Hamdan is a Professor of Orthopaedic surgery, Teaching Hospital and Medical School. Chancellor of Department of Surgery, University of Basrah-Iraq. He is Iraqi Chairperson of AO-Spine. Consultant of Orthopaedic Surgery in the MOH (Kuwait), National representative of Telemedicine Swinfen Charitable Trust (UK), International Surgical Advisor, The Royal College of Surgeons (Edinburgh). June 1979 – March 1980: He was appointed in Clinical attachment in princess Margaret Rose Orthopaedic Hospital, Edinburgh, Scotland.April 1980 – June 1980: Senior house officer, Birmingham Accident Hospital, Birmingham, UK. June 1980 – Nov. 1980: Registrar in Orthopaedics and Traumatology Western Infirmary of Glasgow, Scotland. Honorary Positions and awards: Iraki Scientist Grade A, One of the outstanding people of the 20th century. Cambridge, U.K, Man of the year 2003, U.S.A, Distinguished Professor of the Iraki Universities. 1993, the Ministry of Higher Education and Scientific Research, Gerhard Kuncher award winner, 2000, Distinguished Professor of the Iraki Universities. 2003, the Ministry of Higher Education and Scientific Research, International Award winner, AAOS, USA, 2005. Vast experience in missile injuries of the extremities for the last 36 years. Presenting papers in thirteen medical symposiums at different parts of Iraq. Active participation in teaching under and postgraduate students in the last 30 years. Special interest in spine Surgery and tumour Surgery. He has more than 100 publications. Medical Societies (Membership): Iraqi Medical Society (1972), American Academy of Neurological and Orthopaedic Surgery (1985), British Orthopaedic Association (1986), International College of Surgery, U.S.A(1986), SICOT (National Delegate), Belgium (1986), Iraqi Orthopaedic Association(1990), AO Alumni Association, Switzerland(1992), Gerhard Kuncher Kruss (Germany)( 2002), Member of the Arab Medical Union in Europe(2004), Member of Arab Spine Society(2004), International affiliate member of American Academy of Orthopaedic Surgeons (AAOS)(2004), Fellow American College of Surgeons (FACS)(2007), Spine – AO Fellow (Switzerland)(2008), Member of The North American Spine Society (NASS)(2011), AO Spine Chairperson of Iraq(2012), Member of the British Orthopaedic Association(2016). Dr John Tanner – MBBS BSc FFSEM DM-SMed DSMSA Musculoskeletal / Sports Physician and Medical Osteopath. 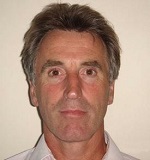 Dr John Tanner trained first as a GP before specialising in orthopaedic and sports medicine. He ran a sports injury clinic in Milton Keynes for 7 years, a medical osteopathic practice in Bermuda for 4 years and on return to the UK developed the Oving Clinic as a multidisciplinary practice in West Sussex. He also worked as an Associate Specialist at Odstock Rehabilitation in the Pain Management team for 10 years and for 2 years in orthopaedics at Worthing. He took over Malcolm Read’s practice in Guildford and has worked at the Blackberry Clinic there He has authored several books on back pain the most recent being ‘Your Guide to Back Pain’ by the BMA. He pioneered the use of extracorporeal shockwave therapy in tendinopathy in the UK, and has a special interest in chronic musculoskeletal and spinal pain, interventional pain relief techniques and psychological management. He is an Instructor for the Spinal Intervention Society and sits on the European Faculty for this and set up a new course for Post Graduate Modular training for doctors in Musculoskeletal Medicine offered by the British Institute of Musculoskeletal Medicine which ran for 10 years. He has examined for the Society of Apothecaries Diploma in this subject and teaches and examines on the MSc at Bournemouth University in MS Ultrasound. Currently he is engaged in setting up a Research Study on prolotherapy in the sacroiliac region with Southampton and Warwick University Research Advisory Services. He has worked with the team at BUPA Health Centre, Basinghall for the last 15 years. Jean Jacques Wyndaele graduated as Bachelor Medical Sciences, Doctor in Medical Sciences-Surgery and Obstetrics, Specialist in Urology, PhD in Biomedical Science, Specialist in Rehabilitation, Second PhD in Urology. Till his retirement in 2014, he worked as Full time Ordinary Professor and Chairman of Urology at University Antwerp (UA) and Antwerp University Hospital (UZA). He was the chair of the Animal and Clinical Research Lab of the Urological Department UA and UZA. He promoted 14 PhD Thesis’s and these doctors are working in different continents around the world. He is Editor in Chief of the journals Spinal Cord and Spinal Cord Series&Cases and is the actual president of the International Spinal Cord Society. 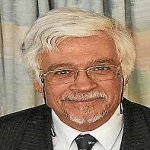 He is Fellow of the International Spinal Cord Society and of the European Board of Urology. He is member of many major international scientific groups. He is the actual chair of ESSIC, the International organisation for study of bladder pain syndrome. He is author of 404 publications in peer reviewed international and national journals, 88 editorials and 30 chapters in books. He has been awarded several national and international prices. Prof W S El Masri FRCS Ed; FRCP. Clinical Professor of Spinal Injuries - Keele University, Consultant Spinal Injuries – Hunters Moor Neurorehabilitation Centre Birmingham, Emeritus Consultant Surgeon in Spinal Injuries Robert Jones and Agnes Hunt Orth.Hospital Trained in the speciality of spinal injuries at Stoke Mandeville, Oxford, Guys Hospitals & the USA between 1971 and 1983 . To date personally treated 10,000 patients with traumatic Spinal and spinal cord Injuries. Developed, and led the Midland Centre for Spinal Injuries (MCSI) between 1983 & 2014. Took responsibility for the management of the injured spine, the multisystem malfunction as well as the range of medical, non-medical and physical effects of cord injury in the acute, subacute, rehabilitation phases as well as in the long term. Lectured worldwide in developed and developing countries. Contributed to the literature with 140 publications. Documented the prognostic indicators of neurological recovery following Traumatic Spinal Cord Injuries. Demonstrated that with simultaneous Active Physiological Conservative Management of the injury and all its medical effects neurological recovery occurs irrespective of the degree of Biomechanical Instability, Canal encroachment or Cord Compression. Introduced the concept of “Physiological Instability of the Injured Spinal Cord” Peer reviewer and on the Editorial Boards of a number of Journals Held the offices of: President of the International Spinal Cord Society, Chairman of the British Association of Spinal Cord Injury Specialists, Executive Member of the British Society of Rehabilitation Medicine . Founder Member and trustee of a number of charities that support Health Care professionals and patients. Raised about six million pounds from charity to rebuild and furnish the MCSI. Advisor to WHO ‘s International Perspectives on Spinal Cord Injury which was published in 2013 Member of the NICE Guideline Developing Group in spinal injuries. Obtained a number of awards including: the Medal of the International Spinal Cord Society, National Hospital Doctor Team Award for Innovation, Outstanding achievement award from the Chinese Society of Spinal Injuries, Outstanding Consultant Achievement award by the Spinal Injury Association, Hon. Presidency of the Romanian Spinal Cord Society and the prestigious Paul Harris Fellowship of the Rotary Club. He is Specialist in neurosurgery and spinal surgery and also Consultant of the General Command of the Carabinieri, Army of Rome. He is also member of AANS, NASS, EANS, AOSpine, Euro Spine foundation, Argospine and many more. 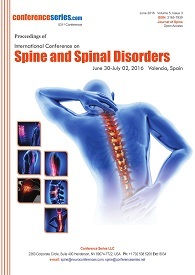 He is also Editor in Chief Journal of Spine, Editor in Chief Journal of Neurology and Neuroscience. Francesco Massari MD, PhD, is an Interventional Neuroradiologist at the University of Massachusetts, MA, USA. Dr. Massari obtained his Medical Degree, Ph.D. and Master Degree at the University of Rome “Tor Vergata”, Italy. He completed two fellowship programs in Diagnostic and Interventional Neuroradiology, respectively at the Medical University of South Carolina, SC, USA and University of Massachusetts, MA, USA; where he received an advanced training in Brain and Spine Interventional Radiology. His research spans areas including the cerebrovascular pathology and spinal disease. He is Principal Investigator (PI) and Co-Investigator in several clinical and laboratory international trials. He is an active member of several European and American Medical Societies, among which the American Medical Association (AMA), American Society of Neuroradiology (ASNR), Society of Neurointerventional Surgery (SNIS), American Society of Spine Radiology (ASSR), European Society of Radiology (ESR) and Cardiovascular and Interventional Radiology Society of Europe (CIRSE), as well as reviewer for multiple International Scientific Journals. His work has been presented at multiple national and international meetings and been published in scientific journals such as New England Journal of Medicine, Spine, Journal of Neurointerventional Surgery, Neuroradiology, Skeletal Radiology, Neurographics. He has been nominated for and won multiple awards at the American Society of Spine Radiology (ASSR) Annual Meeting for his research on spinal minimally invasive treatments. Dr. Vishal Jani graduated from one of the largest medical school in Asia, B. J. Medical College, Ahmedabad and pursued his postgraduate training at Michigan State University and as a neurology resident and subsequently as a chief resident in the Department of Neurology. His sustained research interest in endovascular treatment of neurological diseases allowed him to subsequently finish a Vascular Neurology and Neuro-Interventional Surgery. Fellowship under the mentorship of eminent national leaders in the Division of Neuro-Interventional Surgery at Michigan State University. Dr. Vishal Jani received several awards and honors as an active junior faculty committee member in Society of Vascular and Interventional Neurology and Society of Neuro-Interventional Surgery and many other national and international professional organizations. He is actively involved in research as well published in peer-reviewed journals. His current area of research interest includes Endovascular stroke and cerebral aneurysm treatment and strategic planning and Delivery of the treatment through legislative implementation to create state of the art Neuro-Intervenrtional surgical care. Dr Mo Akmal is very committed in developing tissue engineering programme for musculoskeletal disorders. He has both theoretical and practical knowledge of processes, governing regulations, patenting issues and techniques involved in Tissue engineering articular cartilage and spinal discs. Pier Paolo Mura is an orthopedic specialist in scoliosis and an expert in spinal surgery. 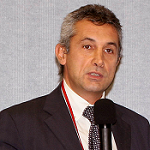 He also serves as a professor at La Sapienza University of Rome, Polo Pontino and Chair in Orthopedics contract. He is specialized in Orthopedics and Traumatology and diagnostic radiology. He is the Director of the Department of Orthopedics; and Founder and Director of the Unit Complex Spine Surgery Center and Scoliosis Surgery Section. 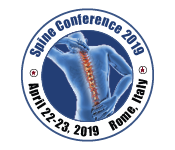 He is the Head of Unit of Orthopaedics and Regional Delegate of the Italian Society of Spine Surgery GIS (Italian Scoliosis Group) as well as an active member of SRS (Scoliosis Research Society). He is also Scientific Director of the research project on biomaterials in spine surgery at the Science and Technology Park in Pula. Dr. Hamid R. Abbasi is currently the president at Tristate Brain and Spine institute, Midwest Brain and Spine Center.His RESEARCH ACTIVITIES include: Minimally invasive spine surgery / OLLIF Extensive work in Area of minimally invasive surgery with must reported experience in OLLIF nationally and internationally. Dr. V. Reggie Edgerton has been the Director of UCLA’s Edgerton Lab since 1968 and is a professor in the Department of Physiological Sciences at UCLA. His research is focused on neural control of movement and how this neural control adapts to altered use and after spinal cord injury. He completed his PhD under the direction of Drs. Wayne Van Huss, Rex Carrow, and William Heusner at Michigan State University. Dr. Edgerton is on the Scientific Advisory Board of the Christopher Reeve Foundation (CRF), and his is one of eight labs in the world receiving funding from the CRF. Burak Ozgur, MD is a neurosurgeon specializing in minimally invasive spine surgery and directs the Spine Program at Hoag. Dr. Ozgur is double board-certified by the American Board of Neurological Surgery and the American Board of Spine Surgery. He received his undergraduate degree in biological sciences from the University of California, Irvine (UCI) and attended medical school at the University of Vermont, College of Medicine. Dr. Ozgur completed his neurosurgery residency, as well as a combined orthopedic surgeryneurosurgery spine fellowship, at the University of California, San Diego Medical Center. Dr. Ozgur also serves as the director of the D.I.S.C. Sports and Spine Center in Newport Beach and is on staff both at Hoag Hospital and Cedars-Sinai Medical Center. He specializes in minimally invasive surgical techniques for common degenerative and complex disorders of the spine including tumors, scoliosis, and trauma. Dr. Ozgur also has a strong interest in stem cell research, spinal biomechanics, and innovative minimally invasive spine surgery development and research. Dr. Ozgur has authored over 25 articles in peer-reviewed publications, has made over 90 presentations at various venues, has written nine book chapters, and recently published a surgical textbook, Minimally Invasive Spine Surgery: A Practical Guide to Anatomy and Techniques in 2009. Dr. Ozgur is also a member of the Society for Minimally Invasive Spine Surgery, AANS/CNS Spine Section, Society of Lateral Access Surgery, American Academy of Spine Physicians, and the North American Spine Society. Akhil Jay Khanna, MD, MBA, is division chief of Johns Hopkins Orthopaedic and Spine Surgery in the National Capital Region and his practice is based in Bethesda, Md. He also serves as vice chairman of professional development in the department of orthopedic surgery at Baltimore-based Johns Hopkins University. Additionally, he is a professor of orthopedic surgery and biomedical engineering at the Johns Hopkins University School of Medicine. Dr. Khanna's clinical interests include the treatment of cervical and lumbar degenerative pathologies, spinal deformities and fractures using both conventional and minimally invasive surgical techniques. He is a member of the North American Spine Society and chairperson of the NASS Radiology Section. He is also a member of American Academy of Orthopaedic Surgeons and AO North America. He teaches and directs several CME courses for spine surgeons through NASS, AAOS and other societies. Dr. Khanna is an avid inventor has holds several patents. He has served as the principal investigator for numerous studies and has been actively involved in National Institutes of Health-funded studies. He has authored more than 100 peer-reviewed publications and book chapters, and he serves as the associate editor of The Spine Journal and as an editorial board member of SpineLine. He has also edited two well-regarded textbooks, "MRI Essentials for the Spine Specialist" and "MRI for Orthopaedic Surgeons. Dr. Morreale joined the CSO team in September 2009. He has received his medical education from Jefferson Medical College, and has completed his spine fellowship at Yale University, in New Haven, Connecticut. Dr. Morreale has advanced training and expertise in degenerative disease in the cervical and lumbar spine. Dr Morreale is the newest member of the CSD team, arriving September 2009. Dr. Joseph Morreale is an Orthopedic Surgeon with Center for Spinal Disorders. Dr. Vedat Deviren is Professor at UCSF Medical Center Spine Center. As an Academic Faculty member he has maintained a passionate commitment to patient care. Dr Deviren as a spine surgeon specializes in the treatment of spinal disorders for both children and adults. This expertise allows him to have wide range of experience on difficult cases, which include cervical, thoracic and lumbar spine, including spinal deformities such as adult scoliosis, spondylolisthesis, failed back surgeries and tumors. He well published in innovated spine surgery and transpedicular approach to previously unresectable cervical and cervical thoracic tumors. 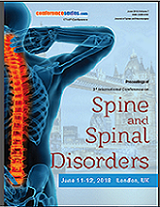 Renowned speaker at national and international conferences, speaking on topics including measurement of outcomes in spine surgery, evaluation and management of spinal disorders, minimally invasive options, and advanced techniques in spine surgery. Working to improve the educational value for resident, interns and fellows is one of Dr Deviren passions in addition to his desire to contribute to crossing geographical barriers to improve the expertise and skill level of other countries. He strives to impart his knowledge, innovation and guidance as a member of the UCSF Faculty both here and aboard. As Co-chair of the UCSF Practical Course in Advanced Spinal Techniques, Committee Chair of the UCSF Medical Center Chair for the Spine Service Patient Satisfaction and Acute Care Team Spine Center he uses his experiences and expertise to improve spine outcomes. These activities have provided an excellent opportunity for one-on-one collaboration and knowledge exchange which promotes UCSF’s mission of advancing health care worldwide. James D. Schwender has done his education in Medical school State University of New York; Internship in surgery; University of Vermont;Residency in orthopaedic surgery; University of Vermont; Spine fellowship, Twin Cities Spine Center.His Awards, Honors, Societies include: American Academy of Orthopaedic Surgeons, Fellow Scoliosis Research Society, Fellow Alpha Omega Alpha; North American Spine Society, Member American Orthopaedic Association (AOA), Member 2008 Society for Minimally Invasive Spine Surgery, Vice President 1st Elect. Cervical, thoracic and lumbar; Minimally invasive techniques; Scoliosis/deformities; Degenerative spine; Trauma; Tumors. Jack L. Feldman is a Distinguished Professor, and a Member of Brain Research Institute,Molecular; Cellular & Integrative Physiology ; Neuroscience. He is from Brooklyn and currently residing in Los Angeles, California. In vitro brainstem-spinal cord preparations for study of motor systems for mammalian respiration and locomotion. Mohamed Abdulhamid is a neurosurgeon in Phoenix, Arizona and is affiliated with John C. Lincoln North Mountain Hospital. He received his medical degree from University of Iowa Carver College of Medicine and has been in practice for 10 years. He is one of 6 doctors at John C. Lincoln North Mountain Hospital who specialize in Neurological Surgery. Cyrus Dokhanian Jensen was born in December 1978, He is currently a LLP Designated Member at LEEDS INTEGRATED ORTHOPAEDICS AND NEUROSURGICAL SERVICES LLP. He is one of the directors at JENSENS LIMITED. 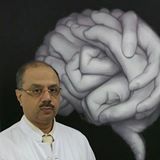 Prof. Majid Reza Farrokhi, now Professor of Neurosurgery, head of Shiraz Neuroscience Research Center, and Dean of Virtual School in Shiraz University of Medical Sciences, completed his Specialty Degree in Neurosurgery in 1996 and Fellowship of Spine Surgery at Innsbruck University in 2004. He has been the Vice President of Iranian Board of Examiners in Neurosurgery since 2012 and hold the position of the Chairman of Neurosurgery Department of Shiraz University of Medical Sciences in 2011-2014, Head of Fars and South of Iran AO-Spine Society in 2002-2005, and dean of Medical School, Bushehr University of Medical Sciences in 1996-1998. He has published more than 42 papers in reputed journals and 2 books and led several research projects. His investigations have been focused in spine.